J.L. 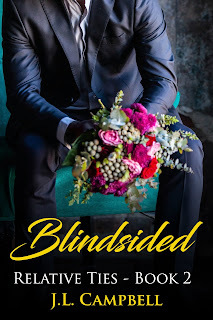 Campbell: Blindsided is Coming! Something was wrong. He'd felt it for at least a week, but had been too busy wrapping up several deals to pay attention to what was now obvious. Caroline swallowed and the delicate hollow at the base of her neck moved with each breath she took. "I'm sorry, Gordon. I can't marry you." Her voice came at him as if from the far end of a corridor, and he was sure he’d heard wrong. "What?" "The, uh, the time isn't right." Her words body slammed him. He licked his lip, which seemed to take an awful long time. His jacket itched and he let out his breath, conscious of the guests shuffling behind them. Next to him, his younger brother, Carsten, moved as if to step forward, but only laid a hand on his shoulder. Behind Caroline, her matron of honor's wide-eyed gaze swung between them. For a few seconds, Gordon's gaze rested on Charles, Sr., Caroline's father, who seemed about to lose his breakfast. Gordon spread his feet and pulled his shoulders back. "And this is the time you choose to tell me?" Caroline made a weird sound in her throat and lowered her gaze, pulling out of his grip to swipe her nose with the back of her hand, which was covered with a lace half-glove. Her action reminded him of something a little girl would do, but she wasn't a child. Caroline was a grown woman who seemed to have lost her mind in the last few minutes. "I didn't know how to tell you," she whispered as tears leaked from the corner of one eye. He wanted to pull her to his chest and shield her from whatever was wrong, because clearly she was hurting. But first, there was the business of their wedding. His mother had been planning this affair for the last six months, and had to be wondering what was going on. From the corners of his eyes, he watched his mother rise. Then his father followed. They had always been a unit, or tag-team as their children called them, and supportive of their family. His sister, Janelle, frowned and then leaned toward her son, who spoke in her ear. Gordon knew he was avoiding the issue in front of him by letting his mind wander. His gaze returned to Caroline, who gripped her bottom lip with her teeth. Her eye makeup was applied with a light hand. The purple lipstick was almost perfect, except where she'd gnawed it away, but her eyeliner was running and she looked as if she was about to faint. Instead, she collapsed against him, sobbing. He held her close, fighting the sensation of someone crushing his chest in a vise. Over Caroline's head, he threw a desperate glance at Feechi—his brother’s wife and Caroline’s matron of honor. 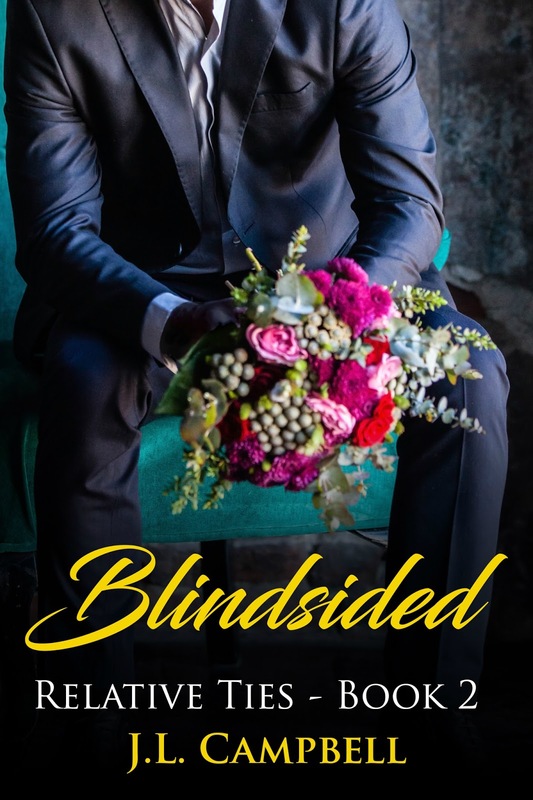 Ingrid, Caroline's bridesmaid, stood stock-still, her eyes pulled wide. Feechi stood directly behind Caroline at the same time his mother reached them. Taking Caroline by the shoulders, Mom turned her. "Come with me. Let's get to the bottom of this." Shaking her head, Caroline said, "You can't." As Gordon watched, his bride took off down the aisle, clutching the sides of her ivory dress as she ran.